Maroon Out began in 1998 with a group of student leaders at Texas A&M who had a goal of uniting the Aggie Family. 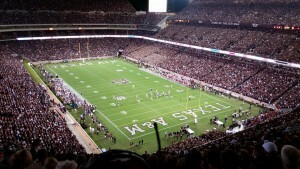 Our Aggie football team was set to play undefeated #2 Nebraska, the reigning National champions. 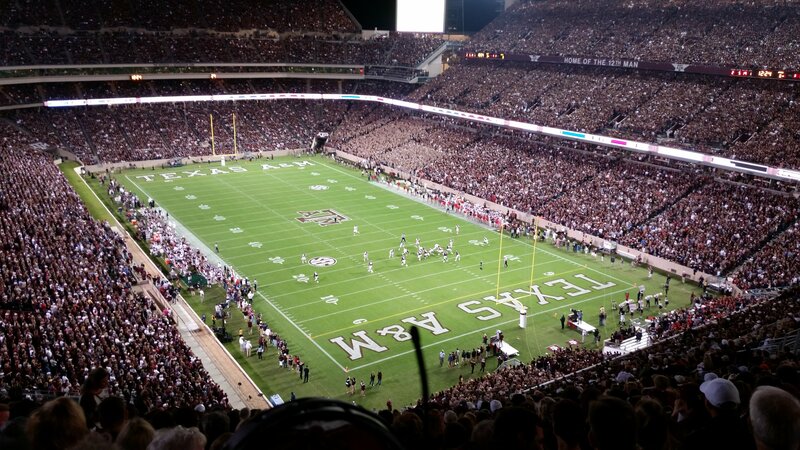 Nebraska was known for it’s famous “Sea of Red”…but on that day a “Sea of Maroon” took over Kyle Field, effectively drowning out the Nebraska fans’ pockets of red. Under the leadership of Head Football Coach, R.C. Slocum the Aggies upset Nebraska with a final score of 28-21. 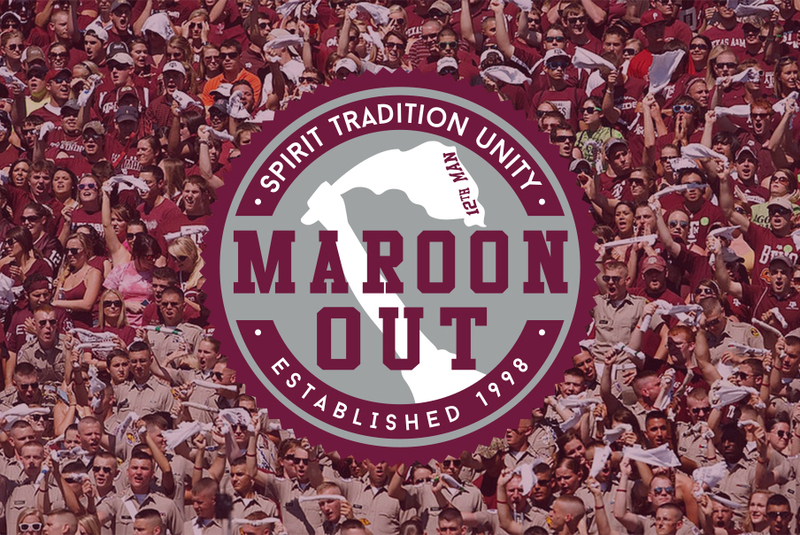 Over 31,000 Maroon Out shirts were sold and created a temporary national shortage of maroon shirts. On October 10th, 1998…a tradition was born. 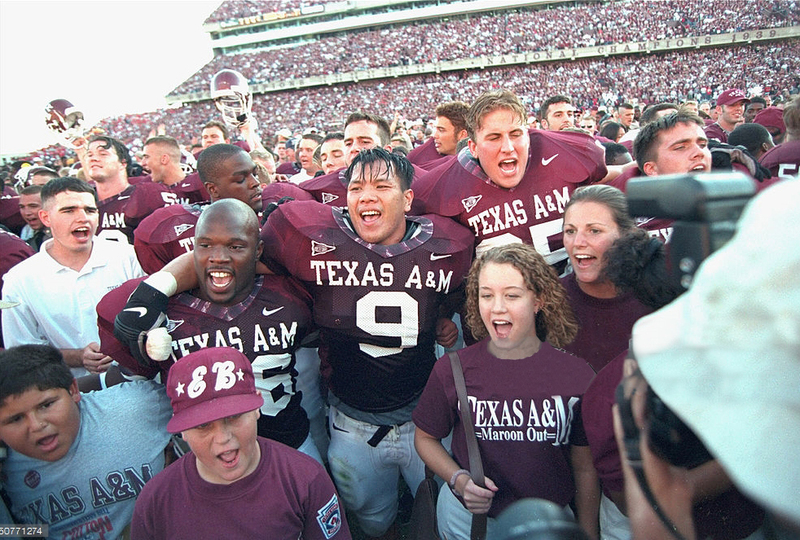 Since then, each year Maroon Out strives to unite the 12th Man and allow current students, former students, and all fans of Aggie football to stand in solidarity to demonstrate the unity and spirit of Texas A&M.From that 1998 victory, to the 2002 win over #1 Oklahoma, and the 2007 win over Texas, all the way to last year’s thrilling game against Tennessee…Maroon Out has been a part of many great Aggie football memories. But Maroon Out is not just about Texas A&M football or about buying another maroon shirt for your collection. 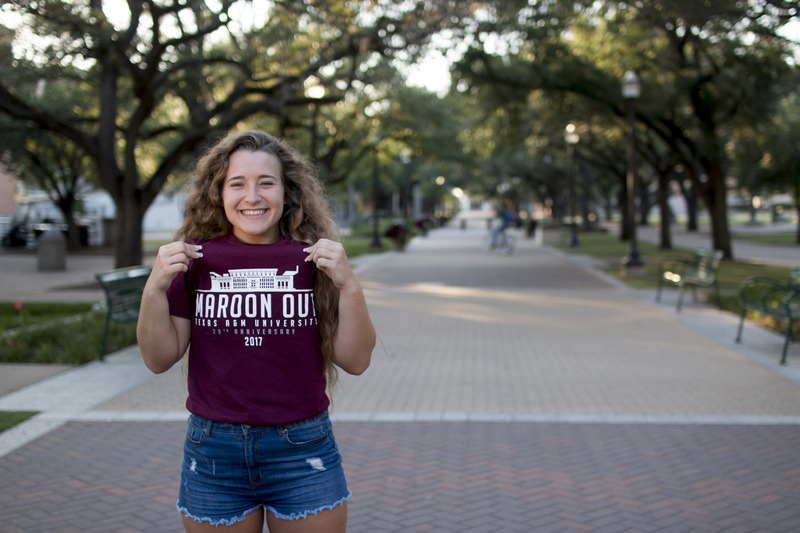 Choosing to purchase a Maroon Out shirt is also choosing to make an impactful contribution to Texas A&M University. Maroon Out allows students to participate in traditions alongside their classmates such as Ring Dance and Elephant Walk that will connect them to Texas A&M and provide them with memories they will cherish for a lifetime. It enables each graduating class to leave their legacy on campus by contributing 55% of all profits to the Class Gift funds. 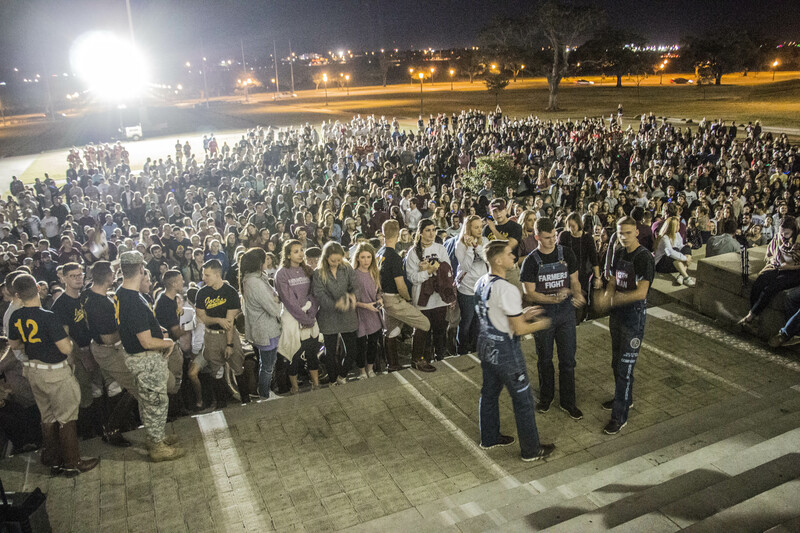 Maroon Out has given 40 Maroon Out scholarships to deserving Aggies since 2011 and will help provide two Aggie Veterans with their Fightin’ Texas Aggie Rings this fall through our Aggie Rings for Veterans Endowment. 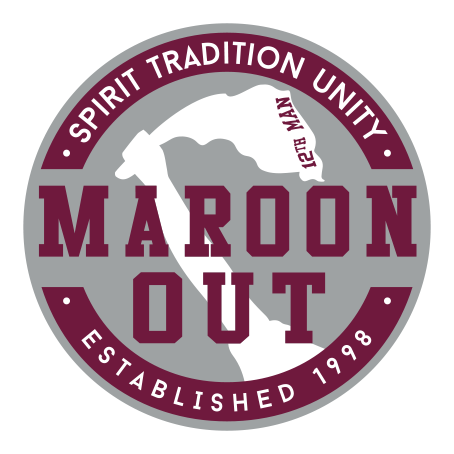 Maroon Out is truly about so much more than just a shirt.